We're giving away an All-Outdoors group whitewater rafting trip on a river of your choice in California. Choose the most challenging river in America — Cherry Creek — or something a little more relaxing, it's up to you. The one-day trip can be on the South or Middle Forks of the American River, the Tuolumne River or Cherry Creek. Your all-inclusive river trip with All-Outdoors California Whitewater Rafting will include your own guide, a riverside lunch, paddling gear and a shuttle from the meeting place to the river and back at the end of the day. 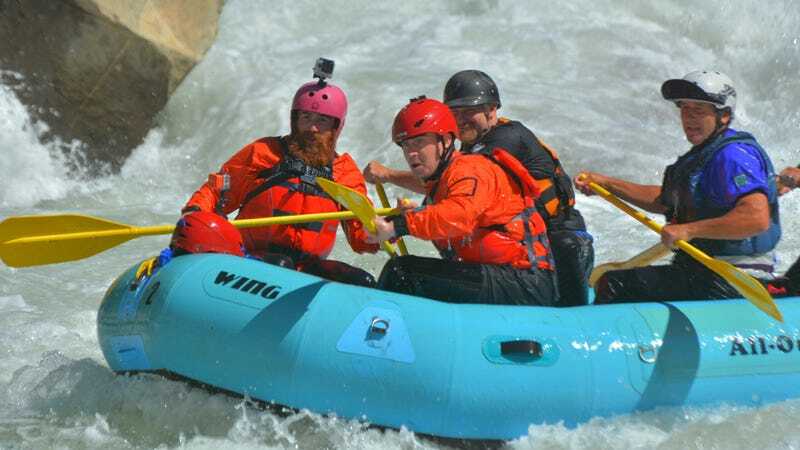 A boatload on Cherry Creek trips are limited to four people; all other rivers will take six people per raft. All participants must attend together on the same trip and date, and everyone must qualify for the river trip chosen (fitness level, swimming ability, ages of youths, rafting experience will be assessed). Availability is subject to trip space, trip minimum requirements and water release schedules. The winner may choose any available one-day trip option or date excluding Saturdays and holiday weekends. Upgrade options to an two-day, overnight river trip are available by request for an additional fee.